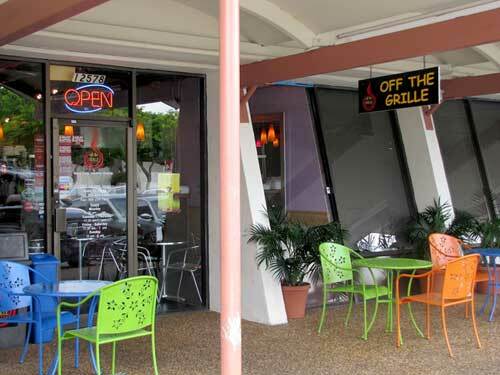 Off the Grille Bistro is off the charts. Folks come from near and far just to try some of their scrumptious fast fusion cuisine. 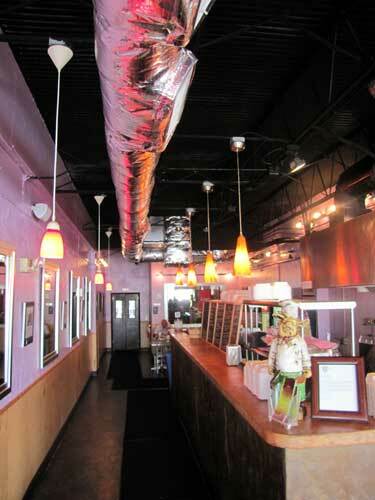 They boast “good food, healthy choices, real chefs,” and they totally deliver. No appetizers here; they focus fully on the main attraction. Menu items may change due to product availability, freshness and/or market price. If you desperately need something while you wait, they offer daily soups for $5.49. 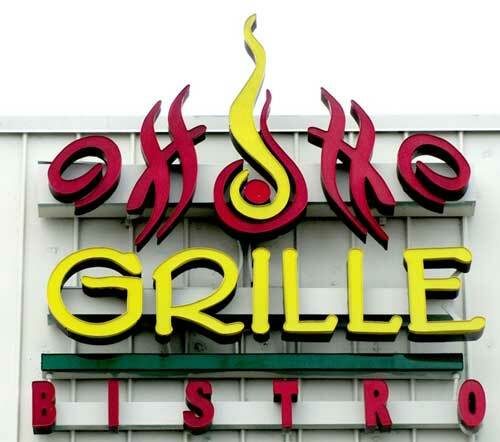 Off the Grille is a hotspot for the health conscious and extremely popular with those following the Paleo Diet (diet mimicking eating habits of our hunter-gatherer ancestors). They are Zagat-rated, the New Times calls them “off the grille, but on the ball,” and The Miami Herald declares “great food off the beaten path.” Executive Chef and owner Robert Gordo mans the reins. Hidden in the back of the Shops of Kendall, behind a CVS and near a Home Depot, the atmosphere is casual and cozy, and the service laid back. It’s also probably one of the only BYOB (Bring Your Own Bottle) dining establishments around. Daily Specials include spicy pork soft tacos, which are amazing; Crispy Crab Cakes with shrimp salsa ($10.49); Curry Snapper with sweet potato mash ($12.99); Chicken Prosciutto or Florentine Wraps ($9.49 each); and Seared Tuna with brown rice ($12.99). 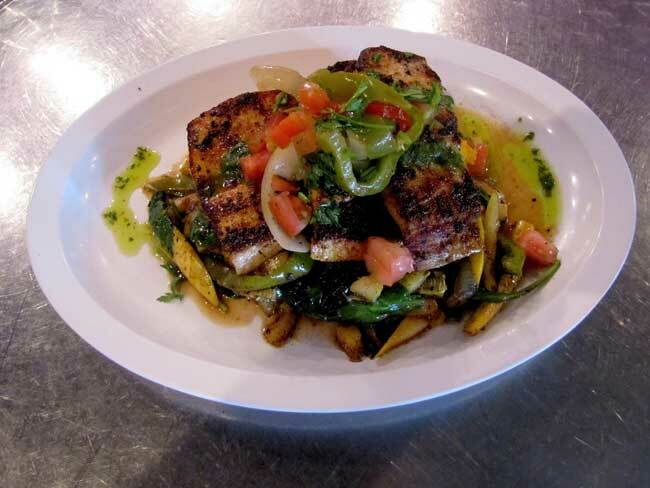 The Mahi Mahi and Snapper ($12.99 each) are Paleo seafood specials and extremely popular with loyal locals. The hot entrees also channel the Caribbean. Prepared Teriyaki Style, or Island Curry with your choice of protein and two sides, the choices include Mixed Vegetables ($8.49), chicken or steak ($9.49), shrimp or fish of the day ($10.49), Combo ($10.49), and Seafood Combo ($11.49). Sides (starting at $2) include yellow rice, pinto beans, brown rice, mixed veggies, tostones, plantains, yucca, and house, or Mediterranean salad. 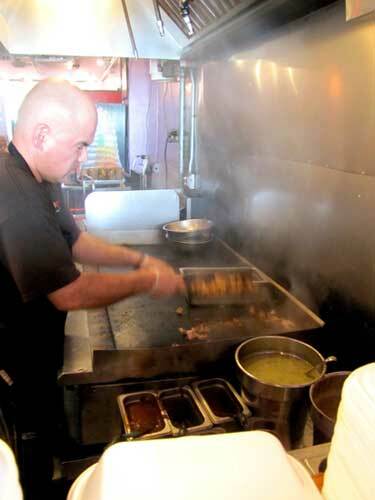 The homemade plantains and yucca bites are renowned staples among the regulars. The hot wraps come with one side order and start at $8.49. The Pesto Chicken with bacon and peppers ($9.49), Creole Fish Wrap with blackened “catch of the day” ($10.49) and the Fajita Steak Wrap with chipotle sauce ($9.49) are all sure bets. If the Mojo Shrimp Wrap isn’t on the board of daily specials, you might just have to beg them to make you one, and you won’t be disappointed. Salads include the Garden with citrus dressing in Curry or Teriyaki ($7.49), the Caesar with plantain chips ($6.49), and the Mediterranean with cous cous and Kalamata olive sauce ($7.49). The kid’s menu ($5.49 each) offers a chicken or steak wrap with island chips, or chicken or steak strips with choice of island chips or rice. Discover this hidden gem in Kendall. Drop in for lunch, or bring a bottle for a relaxing evening. Tell them that you heard about them on GreatFoodList.com. Shops of Kendall 12578 S.W. 88 St.
Monday through Thursday, 11:30 a.m. – 9 p.m.
Friday & Saturday, 11:30 a.m. – 10 p.m.